Major transitions involving family can be just that, major! Like the title of this article says, wine and cheese pairings can be a wonderful experience, full of new experiences, and broadening your perspective. However, they can also be horrible and result in bitter, abrasive, and really dissatisfying outcomes. Obviously we all want to avoid some of the perils involved with family in life & busines transitions but also we want them to be memorable, positive experiences. Whether its a business transition, an estate transfer, or other kind of transition closely tied to family, their are complicating factors that, if left unchecked, can make a transition much much harder to get through. Emotions can run high and complex during a family transition as opposed to many others. Parent to child, sibling to sibling, or other relationship arrangements all have experiences and emotions unique to them. When something like a business or estate transition are required, the decisions, processes, and outcomes sought all become intertwined with the backgrounds brought to the transition. There are ways to structure these transitions that respect and celebrate those backgrounds but also build-in mechanisms to allow all parties concerned to be heard as well as come to mutually beneficial outcomes. My hope is some of my own lessons learned as well as applying some of my transition methodologies can help you in your future transitions involving your family - whether its in an estate, transferring ownership of a business to a child or other family member, or transitioning in some other way with your family business. The goal of this kind of transition is to move through it with minimal stress but also reach everyone's required outcomes while having maintained positive working and personal relationships with one another. In a previous article on general transition methods, I wrote about the 4P Method: Purpose, Picture, Part, and Plan. Here I'll expand on that and talk more about the particularities of family transitions. I focus on business exits and estate processing here but the 4P method along with other elements are applicable to all major transitions and are worth considering in preperation for them. It's particularly important in the case of family transitions to spend some time in planning and preparing for the transition. Working through the 4P exercise in my previous article will be very helpful (and would have been for me in my past family transition experiences had I known what I do now!) but I'm going to add 1 more element of particular importance in this article and that is the Process. A plan suggests events, timelines, schedules, resources, and dependencies. However, the Process (or method) you're going to employ during your family transition is just as important, if not more so. There are particular methods that can be useful when processing an estate, for example, that will help value belongings and other items in a simple way so that everyone comes away heard, respected, and having a feeling of importance and belonging in the family. In a family business transition, creating an agreed to process prior to actually beginning a transition can help alleviate much hardship, disagreement, and sour relations. First and foremost, designing a process you'll be using (or finding useful templates online, for instance) will help everyone to focus on the process and how it's working or isn't rather than all the baggage that a family transition can sometimes bring forward. If everyone agrees to a mutually crafted and beneficial approach (and agreeing it's improvable along the way!) creates a means to divert tense energy back to the process, what's been agreed to, and if it isn't working, mechanisms to improve it. 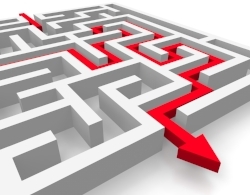 This will enable everyone to navigate the potentially difficult maze of uncertainty in the transition by having a solid map everyone can work from. Recognition of Successes - spend time celebrating the business, the obstacles that were overcome, the achievements made, and relationships built. Single out specific occasions and individuals in the family (and other employees) and celebrate their contributions on a personal level. Recognition of Transition - spend time together acknowledging there is a transition required at some point in the future (could be near or long term) and what might be changing on an individual or organizational basis in routines, roles, assumptions, & relationships that are driving the need for transition. Define decision making process - this is the method by which you'll step through each facet of the business, management, assets, equity, finances, and more. This should involve a review of Governance documents, current Profit and Loss statements, Balance Sheets, Cashflow Statements, Articles of Incorporation, and more to ensure everyone starts with an equal satisfactory understanding of the state of the business. This is also where you should include things like dispute resolution triggers, means, and ends. This is really important to craft early so it's well understood by all parties. Even if you feel things are going swimmingly, I suggest having something written out and signed, so it's clear for everyone involved. Even go so far as selecting a mutually agreed to independent mediator should things get really difficult. They are professionals at systematic approaches to arrangements, agreements, and transfers. Define Transition Strategy - similar to an "Exit Strategy" (which often implies an individual owners exit) a transition strategy is more holistic and includes direct (and indirectly) family members, ownership, and what the intended transfer structure will be. It describes how the business will change, ownership and asset transfers, and more. This is one way to get the high level (at this stage) Transition Strategy agreed to and in place to move forward with. Design the Transition - the goal here is to clearly describe the path of through what's Ending, the Uncertainty Stage, and New Beginnings. What is success at these stages, for whom, what matters most and what matters least? Define the remaining 4P's - Purpose, Picture, Part, Plan. Now that the 1-5 above are accomplished the remaining details of the 4P's should be relatively simple to define and agree to. All of this will be imperfect and improvable but vastly superior to winging it or going forward on cursory verbal agreements. In my past experience as a co-executor with my brother of my moms estate, I found some things we did were really useful, beneficial and important and when we deviated from our agreements, the baggage of our past as well as recent disagreements amplified the sour outcomes where they could have otherwise been avoided had we worked through something like the above process for an estate. In my organizational improvement work at Boeing, when you're working across functional and organization lines, vertically and horizontally, focusing on a mutually agreed to process is a powerful way to keep people engaged, respected, and enjoying the experience. This is a big part of why I do the work I do, is to help take my own lessons learned, lessons I learn from others, and apply my expertise in engineering, management, strategy, and more for the benefit of my customers transitions. Please don't hesitate to call and set up an initial consultation if you have or are in a family transition and could use some help creating a holistic approach that benefits everyone and maintains positive relationships.